My beloved fall season is coming to an end with the last leaf about to drop. Soon it will be a time of mistletoe, tacky sweater parties, eggnog, tree trimming and SPENDING – lots and lots of spending. How does one navigate through this consumer-driven holiday and come out in without being in the negative? I suggest spacing out the purchases. Sometimes during the summer and fall, if I see something in a store I think my niece or nephew would like, I’ll pick it up. I keep track of these gifts using the app called Gift It. I try not to wait until the last minute because not only does this bring on unnecessary anxiety, but it also results in a lot of expenses all at once that I will feel in my cash flow. Along those lines, I suggest you save throughout the year for gifts. When I was in my early 20s, I found myself running into the problem of shelling out hundreds of dollars for holiday gifts and my credit card bill was always brutal after the season. In an attempt to resolve this problem, I calculated how much I spend on an annual basis for gifts (holidays, birthdays, weddings, etc.) and divided it by the number of pay periods I had throughout the year. Then I had that number direct deposited from each paycheck into a separate bank account specifically designated for gift purchases. When the holiday season arrived and I started my shopping, I already had the funds readily available and didn’t have to worry about how I was going to pay for that large credit card bill at the end of the holiday season. It all goes back to last month’s article on budgeting – knowing how much you are going to spend and how to plan for it. Realistically, these strategies will not work this year since it is mid-November and there’s only a few weeks until your loved ones start shredding open the beautifully wrapped packages, but this is a great thing to put in place for 2016! Avoid some of the Black Friday chaos by making a list in advance and sticking to it. If crowds aren’t your thing, get your shopping done on Cyber Monday. So if money hasn’t been set aside for spending, where does one start for smart holiday shopping? Two words: Black Friday! Every year my sister and I wake up at 5 a.m. and make our way to the mall, still stuffed from too much turkey, mashed potatoes and pumpkin pie. If you aren’t a morning person or don’t like the Black Friday crowds, then Cyber Monday is also a great place to start. If you go with a shopping list in advance you can get some great deals. In addition, this enables you to spread out your holiday spending over a few weeks so it works better with your cash flow. If cash flow is really tight, then try some DIY gifts. My parents do not need anything. Instead of buying something that will sit in the box in their garage, I make things for them. It shows you really put some thought into the gift and didn’t just buy something because it looked nice. My dad is a big griller, so I made him some homemade BBQ sauce, meat rubs and marinades. For my mom, I made her homemade bath salts and sugar scrubs. 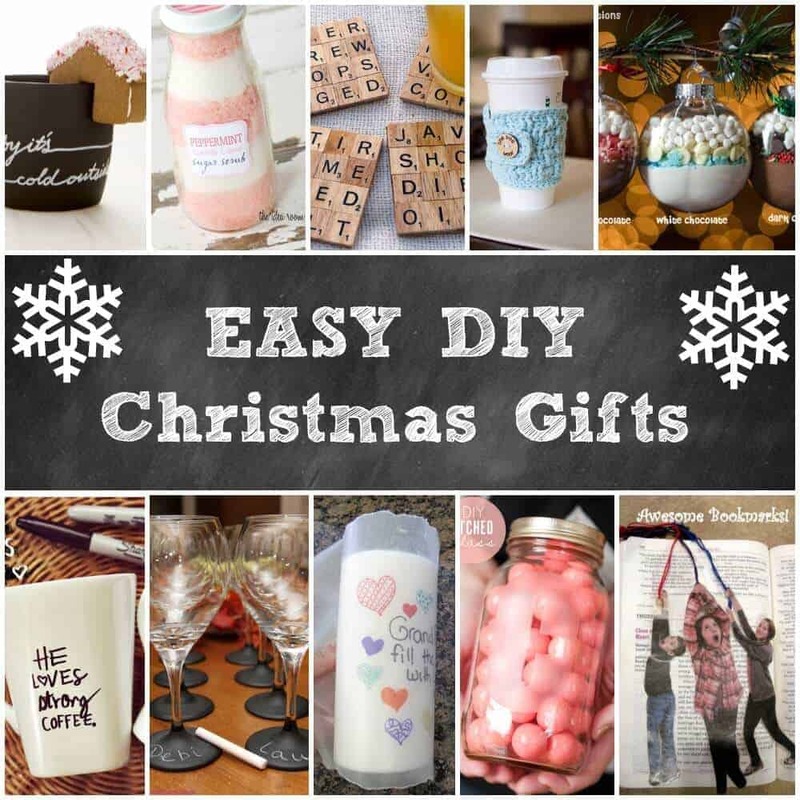 Pinterest has some cool ideas for DIY gifts – get creative! Remember that it’s suppose to be about the season, not the stuff. If you are like me and my girlfriends, we used to always exchange gifts. Over time, we realized this was costing us all a lot of money. Instead, we switched it up and do a white elephant gift exchange. Rather than buying for six girls, I am buying for one. Pair the gift exchange with some wine and cheese at someone’s house and you will have a great time! At the end of the day, remember the holidays are for spending time with family and loved ones, not a time to worry about money and debt. Plan ahead and do the best you can within your means. Start 2016 off right and create a savings plan, so next year you won’t have to worry about the money aspect of the holidays and instead can focus on family and friends.